​Winter Solstice is the shortest day of the year, occurring on or around December 21st. This Midwinter festival celebrates the rebirth of the sun and the triumph of light over darkness. In times of old, bonfires would be set ablaze in the fields to honor the sun as it spent its last slumber in the longest night. Starting the next day, days would begin to get longer once more, and the people knew that their crops would begin to hum with life soon. It is a time when you have the ability to set forth in a new direction; a new direction where love, compassion, and living your truth is your main goal. 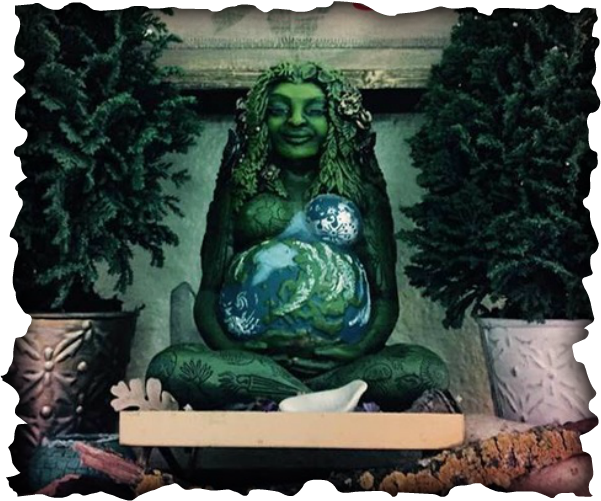 It is a time when the Earth is in its slumber and the powerful regenerative powers of the Mother are in full-force. This is an excellent Holy Day on which to begin anew. The sun is returning and a new year approaches. Forgiving Transgressions and Releasing that Which No Longer Serves You - where you will say goodbye to things that are holding you back. The You—You Shall Become - where you will Journey to learn about who you will be-coming in the coming year. Building Your Manifestation Chest - where you will personalize a small treasure chest to hold your wishes and dreams for the new year. I See a World Where… - where you will make a commitment to be the change you wish to see in the world.